It is easy to think that the gem in your diamond ring has simply been found, cut, polished and set in place ready for it to be placed on your finger. Diamond jewellery you find from companies such as https://www.comparethediamond.com/ is always portrayed with beautiful images and descriptions of the product which is very fitting considering the journey the jewel takes from the depths below the surface to finally reach the jeweller. Some of the oldest diamonds to be found are thought to be around 3 billion years old. Considering the earth is 4.5 billion years old this means that some of the diamonds being excavated are nearly as old as the earth itself. The formation of the jewels occurs at over 100 miles below the surface of the earth and they are carried higher up to levels that can be reached through both open-pit and underground mining through extremely violent volcanic eruptions through what is known as kimberlite pipes. 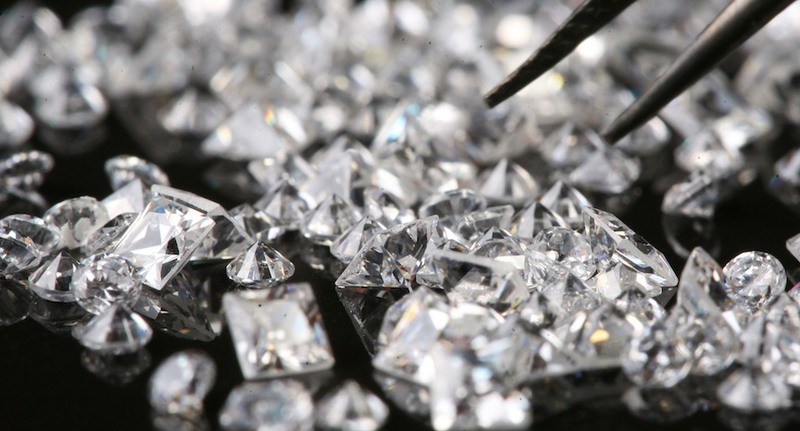 Diamonds are made up of nearly 100% carbon. As they are originally located so far below ground level they are subjected to intense heat of around 900-1300 degrees Celsius and to immense pressure. It is this combination that causes the carbon atoms to bond together in tetrahedral structures, which in simple terms is a triangular pyramid with four faces, six edges and four corners. A diamond is the hardest natural substance to ever have been found. Ironically the only natural item that can leave a mark on a diamond is another diamond. 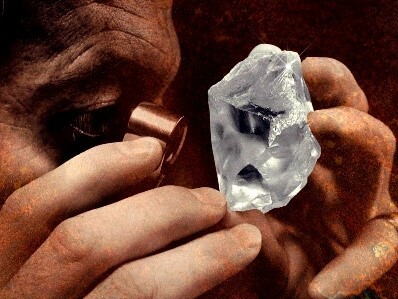 It is estimated that a diamond is 58 times harder than another other substance found naturally. Some diamonds glow under a Ultra-Violet based back light by showing a bluish fluorescence. It is thought around two-thirds of natural diamonds possess this quality. Diamonds are measured in carats – not to be confused with carrots! One metric carat is the same as 0.2 grams. A diamond loses around half of its carats (weight) when it is cut, shaped and polished compared to its original weight when it is first mined. A diamonds value is set according to their cut, colour, carat and clarity. It is not simply based on weight. About 80% of all of the diamonds mined each year end up in industrial use rather than in jewellery. With some diamonds even being used in the blades of some surgical scalpels. So, there you have it, there really is so much more to the diamond in your diamond ring than you first thought.